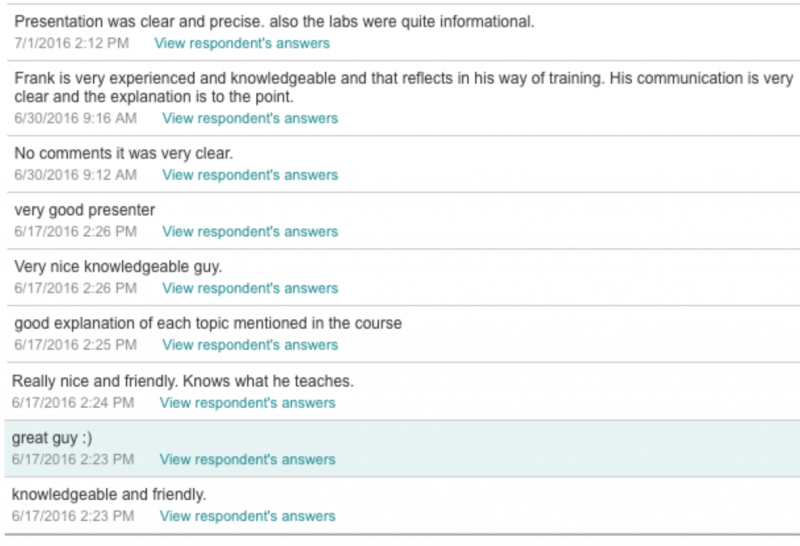 My WebLogic 12c training courses in AUS were a great success so I’d like to share the reviews with you. 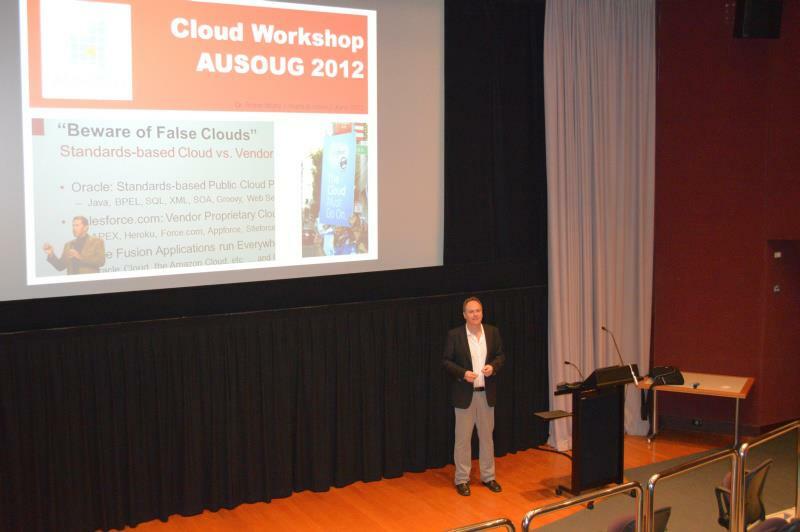 My special thanks go to AUSOUG president John Bushell for making this possible and Burke Scheld for organizing the events. I got some really nice feedback after the presentation, here is all the answers. Info about the non-core tools and tricks, very handy to get to hear about little odd things like that. It covered some left of field topics and points – some of the things I was hoping for. Good tips on tuning. Good opensource tool suggestions. 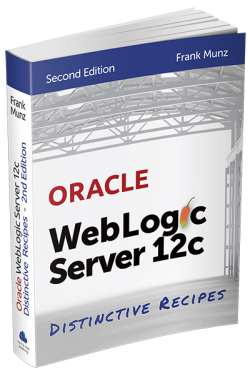 Tips and tricks on weblogic server management. 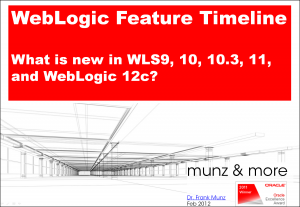 Good independently sourced information about Weblogic features and capabilities. The idea of using virtual images helps to set a test environment quickly. The expertise of the presenter makes him capable of providing information that is beyond what you can find on the official Oracle docs. Good presentation, good explanations, aimed at the right level for me. 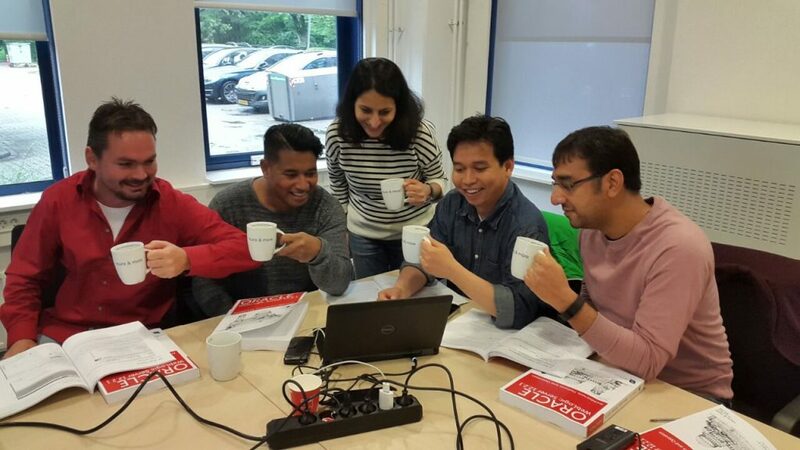 We can discuss the good, as well as criticise the bad, features of Oracle software. Frank provided information about some useful tools that I wasn’t aware of. The overview of the new features in 12 was good. The configuration tips were handy. 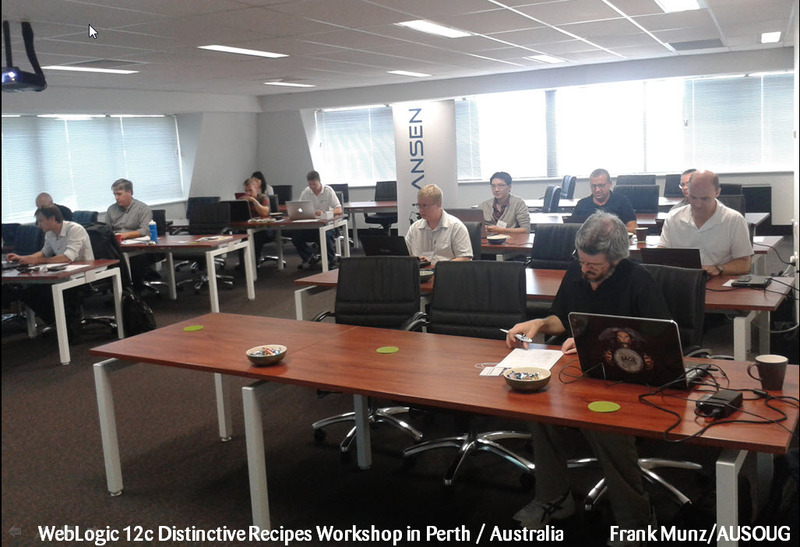 The cost of the workshop was very reasonable for the information gained from it. 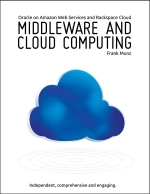 To get an overview of technologies and to discuss those. Nice pens from the presenter. And the idea of giving away a free book. Frank obviously knows his stuff, and backs up recommendations with excellent real world examples. Frank was a great presenter and his style was very professional. English was very good and understandable. 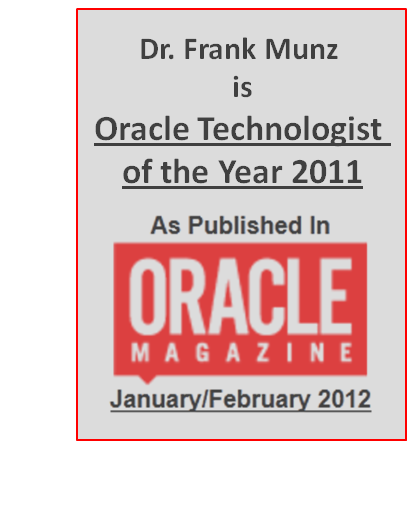 Frank had good experience and knowledge of weblogic server. 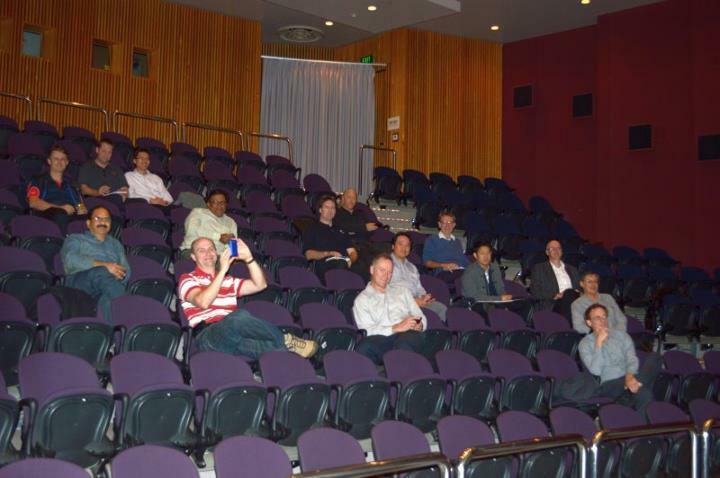 Frank is an excellent presenter and very knowledgeable about almost every aspects of Weblogic software. I liked Frank’s relaxed presentation style and the depth of his knowledge of the product. Excellent guy who knows what he’s talking about, broad range of experience and good examples. I like how he is not biased towards a brand of technology but instead rationalises upon technology choice depending on immediate/long term goals. Great presentation – really informative and easy to follow. Frank is organised and knowledgeable and presents with a comfortable, easy to listen to style. 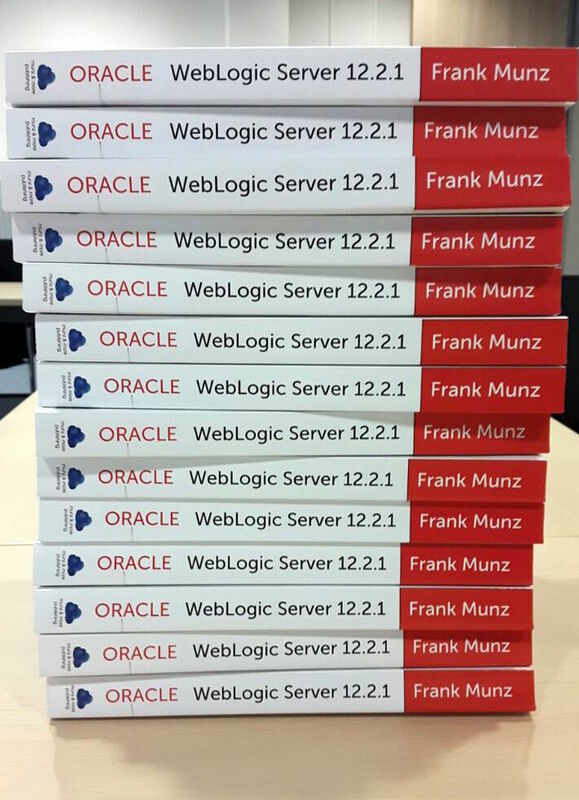 Learn about my internal WebLogic 12c training offerings. At first, take a decision to start servers with or without NM. Note, that is not absolutely necessary. You can always start your servers with the scripts generated by the config wizzard. I personally know rather big companies building lovely cars who took the decsicion not to use node manager. Would I use nodemanger myself? For an “average” project: yes! 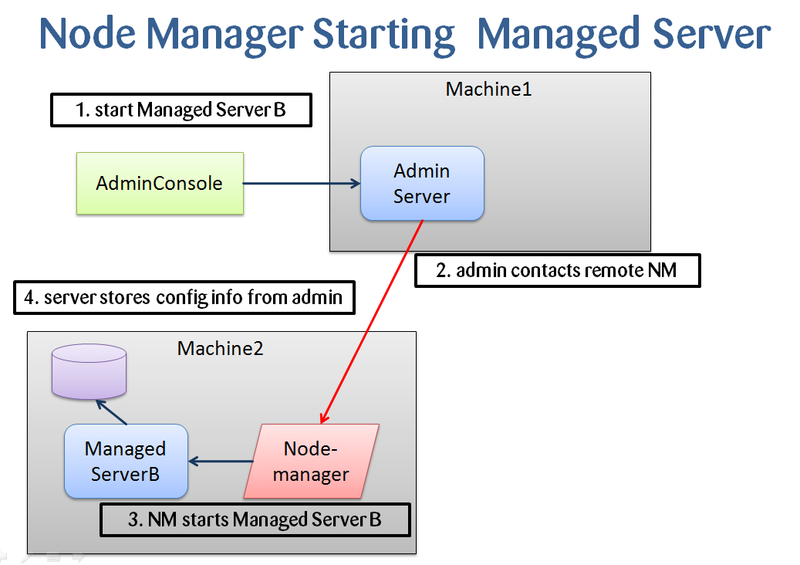 Only after configuring node manager you can use the WebLogic admin console to start and stop managed servers and node manager will restart you failed servers as well. However, if you consider restarting you servers automatically because of out-of-memory problems, better read this article about “surviving generations” to understand how to track down memory leaks and fix them. Anyway, you still want to use node manager. Make sure you understand that nodemanger will use default values to start your servers unless you specify them yourself in the admin console under server startup parameters. Make sure you always start your servers with same startup parameters! This is really important. You end up in deep trouble if you don’t. Believe me. Imagine somebody is starting a managed server using the admin console and the provided values there. Next day somebody else starts a server using the provided scripts (which – at least in real life – will never be identical to the startup values configured in the admin console). Now depending on the way the server was started it will behave differently and show erratic behaviour or not. Document and communicate the usage of node manager. Write it down in the operations manual. If you ever hire me as a consultant for some performance tuning it helps to know if you are actually using node manager or not. Then node manager will use the generated start script and you do not need to configure startup values in the admin server console. If you decide to use SSL for the node manager communication, get correct certificates! The demo certificate will not work in a distributed system. Make sure the hostnames in the certificates are correct. If they are not correct, you may want to consider disabling host name verification on the admin server (which is the client for the node manager). Remember that node manager is not part of the domain. Still you can check the node manager status and and see the logs directly from the WebLogic admin console. Enable plain text communication for node manager as default. Why should it be SSL? Set start/stopScriptEnabled as default. This will cause less confusion. Any settings you would like to share? Something to argue? Let me know.